Use a pressure cooker to cook dal quickly. Take a bowl which will fit into the pressure cooker & add dal. Add water and wash the dal. To the washed dal add 3/4Cup of water and place this bowl in pressure cooker and cook. After first whistle cook the dal on low flame for 15 minutes and switch off the stove. Wash the lemon and squeeze juice. To the lemon juice add salt required for the dal. Mix well with a spoon to dissolve salt in lemon juice. Remove the cooked dal bowl from the pressure cooker and mix with a spoon. Add the prepared lemon juice. To get the right consistency add water (here I have added 1/2Cup water to the cooked dal) and mix well. Transfer the prepared dal to a serving bowl and keep it aside. Heat a pan and add oil to it. When oil is hot add black gram and fenugreek seeds. Fry stirring on low flame till the seeds start changing color. Then add mustard seeds and cumin seeds. Fry the seasoning till the seeds crackle. Then add asafetida and curry leaves. Mix well and switch off the flame. Now add turmeric powder and deggi mirch powder (or red chili powder). Mix well and immediately spread the seasoning on the prepared dal. 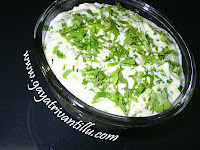 Serve this dal with hot rice and enjoy. Use Deggi Mirch powder to make this dish as it is less spicy yet gives a bright color to the dish. If Deggi Mirch powder is not available use normal red chili powder in moderate quantity (according to taste) ---even this would taste good. Salt and lemon juice may be added according to taste. After mixing salt mixed lemon juice with dal, taste the dal and adjust the seasonings. Using pressure cooker cooks the dal fast with less effort. It is advisable to add just sufficient water to cook the dal in pressure cooker. To get the desired consistency one may add water later. After squeezing juice from lemon, immediately add salt and mix---otherwise the juice turns bitter. Take salt in a bowl and squeeze lemon juice in this bowl for easier job. After adding chili powder to the seasoning, immediately mix and spread it on the dal. Red chili powder when mixed with hot oil burns fast---before it burns it need to be spread on the dal. The water in the dal stops the burning process. So act quickly, after adding the chili powder to the hot seasoning. To ease the process add one table spoon of water to the seasoning which will cool the seasoning immediately and avoids burning of chili powder. Serve this colorful, tasty and simple dish with hot rice.